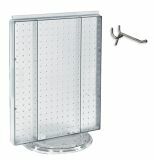 20"H X 16"W counter spinning pegboard 2-sided display with 0.148" diameter hooks. 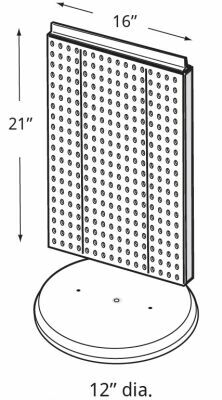 Made of durable plastic. Revolving base. 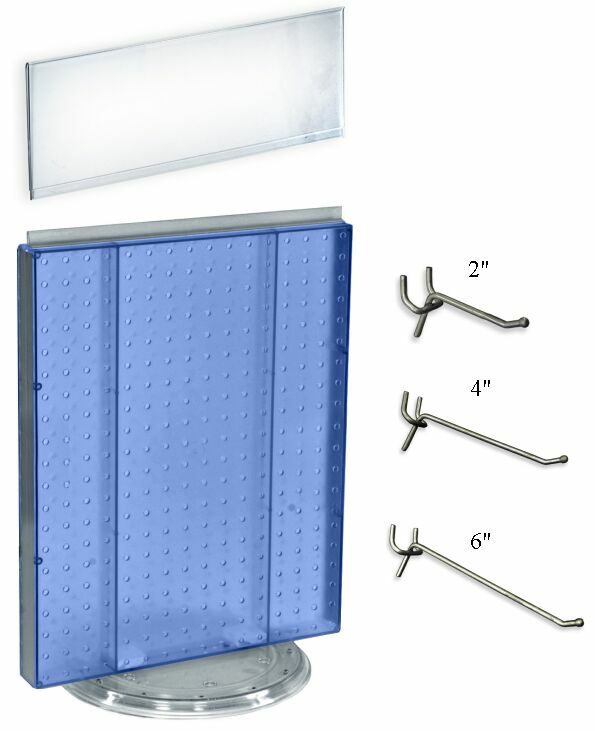 Optional clear 16"Wx6"H sign holder included. Item #: RC-14 Color: translucent blue color.